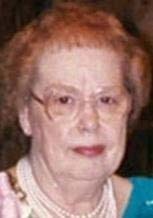 WATERLOO - Wilda Sauer Westphal Belew, 85, of Waterloo, died Tuesday, Feb. 1, at Covenant Medical Center. She was born June 11, 1925, in Troy Mills, daughter of Earl and Mabel Oldridge Sauer, and raised by Charles and Maude Reece Sauer. She married Ralph G. Westphal in August 1943, and they later divorced. She then married Earnest G. Belew on Dec. 30, 1958. He died April 1, 1993. She graduated from Brandon High School, Brandon. Survived by two sons, Ralph Westphal Jr. of Cottage Grove, Minn., and Richard (Michelle) Westphal of Waterloo; a daughter, Sherrie Russell (Jerry) Peters of Waterloo; eight grandchildren, Ryan, Todd and Scott Westphal and Laurinda (Iver) Holen, all of Minnesota, Aaron and Brent Westphal, both of Waterloo, and Misty (Chad) Newell and Eric Russell; four stepgrandchildren, Nicholas Boswell, Trevor and Josie Weber and Chasity Peters; 15 great-grandchildren; and a twin sister, Wilma Hall of San Leandro, Calif.
Preceded in death by nine brothers, Ralph, Earnest, Leon, Davere, Ronald, Marion, Donald, Almond and Wilbur; and five sisters, Wiltrude Sauer, Gertrude Boies, Zeneata Staton, Merle Yarrington and Hannah Darlene Sauer. Services: 10:30 a.m. Saturday at Sacred Heart Catholic Church, with burial in Garden of Memories Cemetery. Visitation from 4 to 8 p.m. Friday at Hagarty-Waychoff-Grarup Funeral Service on South Street, where there will be a 4 p.m. rosary. Visitation also an hour before services Saturday at the church.